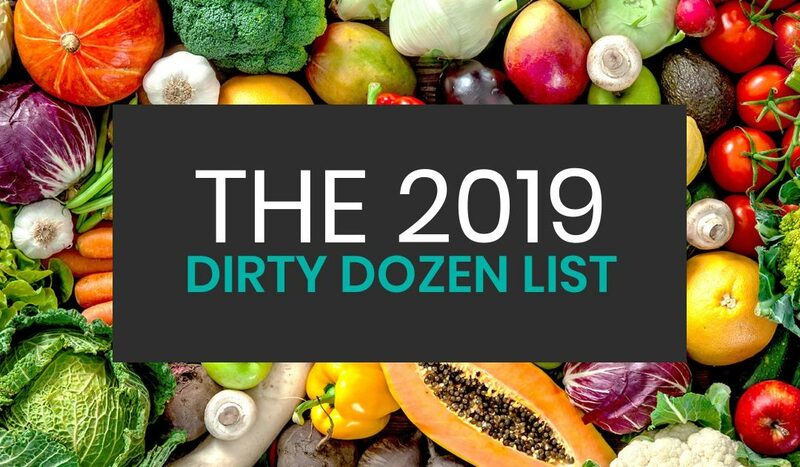 EWG’s Dirty DozenThe Environmental Working Group (“EWG”) analyzed USDA pesticide residue data (testing for 225 different chemicals) and found that almost 70% of non-organic produce sampled tested positive for pesticide contamination. More than 90% of samples of non-organic strawberries, apples, cherries, spinach, nectarines and kale tested positive for residues of two or more pesticides. Less than 1% of avocado and sweet corn samples tested positive for any detectable pesticides; they scored the cleanest of all produce tested. **Some papayas and sweet corn in the United State are GMO, so in my opinion, it’s best to always choose organic for those! EWG says multiple pesticide residues are extremely rare on Clean Fifteen vegetables. Only 6% of Clean Fifteen fruit and vegetable samples harbored 2 or more pesticides.